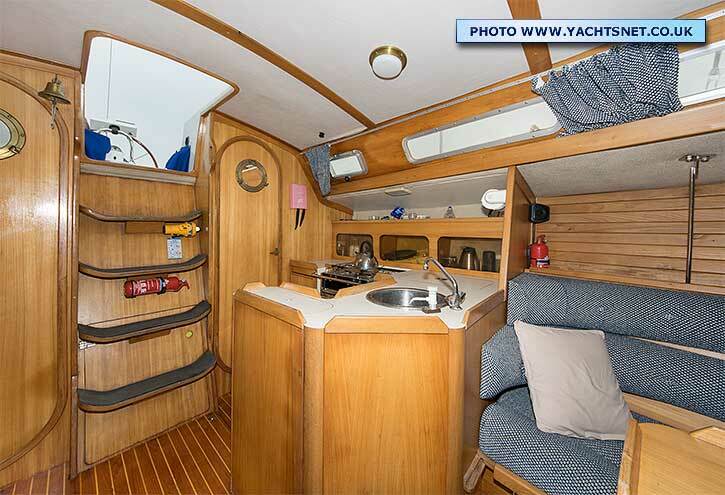 This Feeling 1040 is a fast and spacious cruiser that has been well looked after and updated - although a 1986 boat she looks much newer, with a spacious and light modern interior layout. 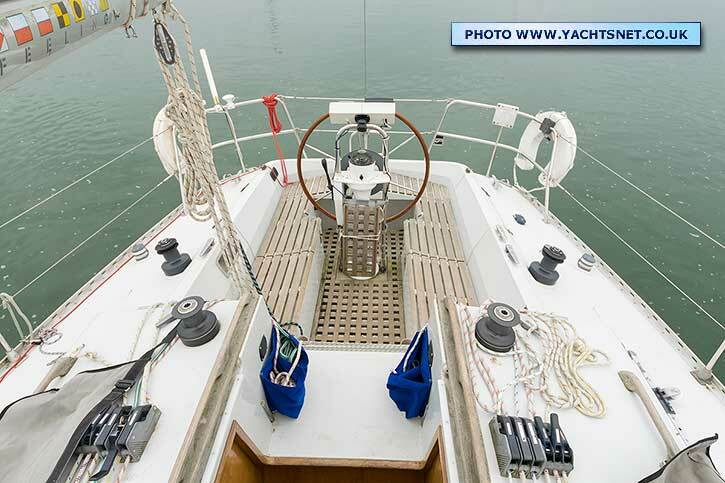 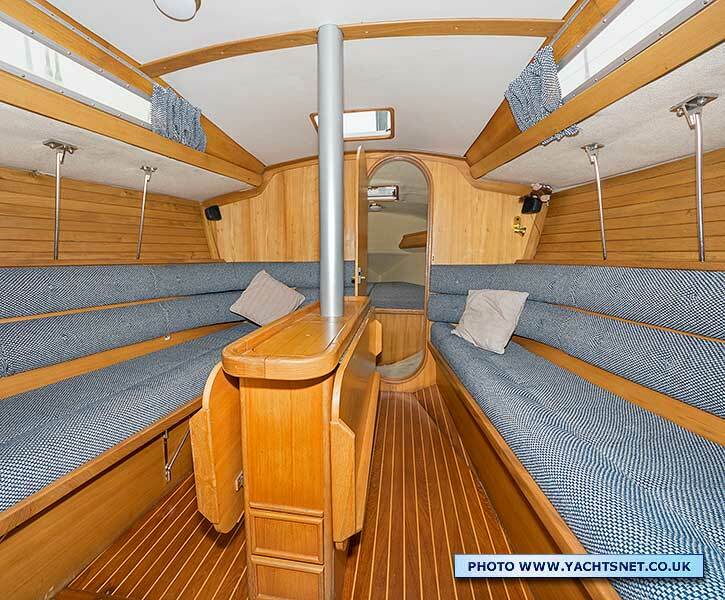 This yacht has quite recently had the original 18 hp Volvo engine replaced with a 30 hp Beta. 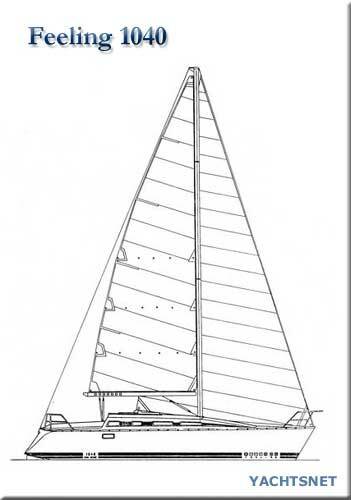 Auguste Kirie was building boats in France from 1912 onwards, originally as a wooden boatbuilder. 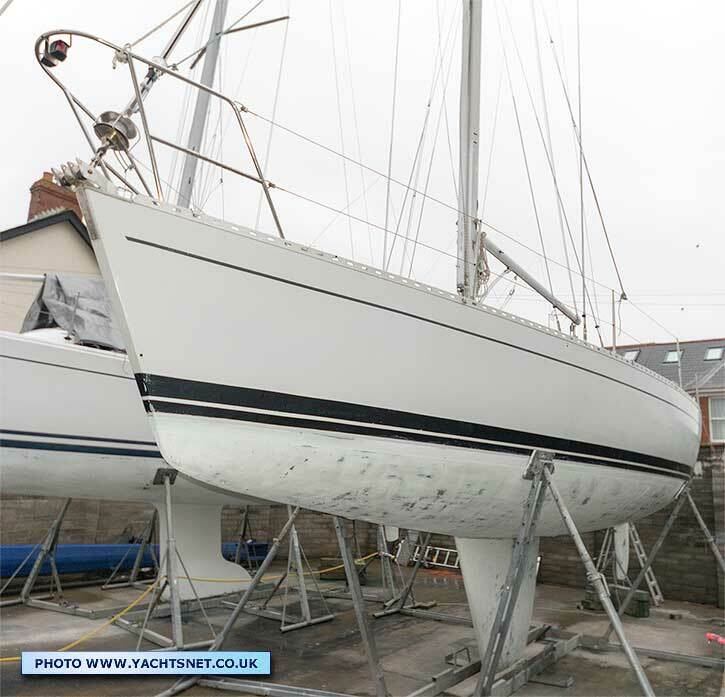 The 'Feeling' range came about in the early 1980s when the company received an injection of funding from the USA, and started to build more boats for the export market. 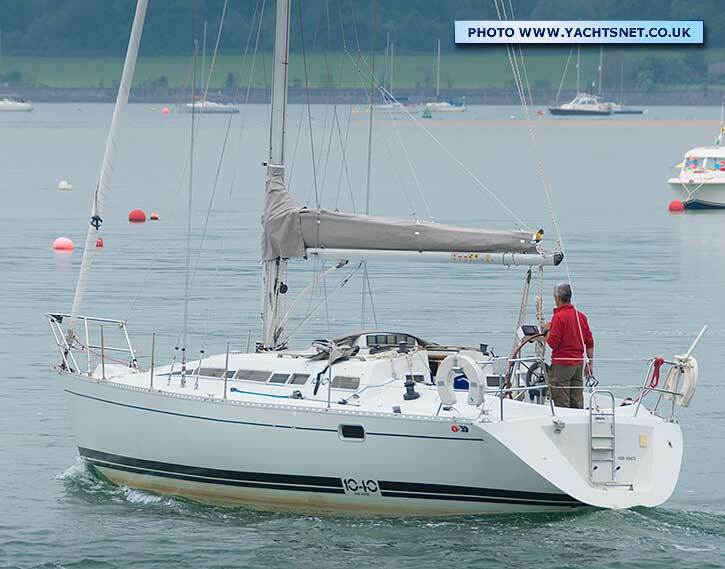 An early Feeling 1040 was sailed from France to New York single handed, surviving hurricane weather, and was then exhibited at the New York Boat Show and went on to be awarded the 1985 American 'Boat of the Year' award. 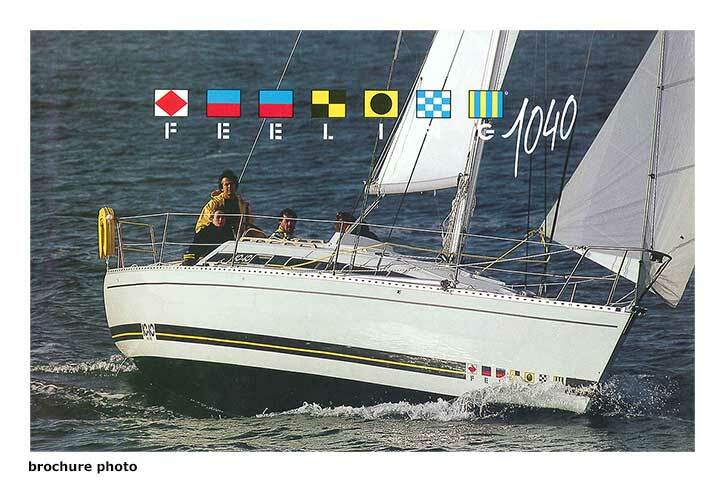 The Feeling 1040 was designed by the Harle/Montain design office, and was built from around 1985 to 1989. 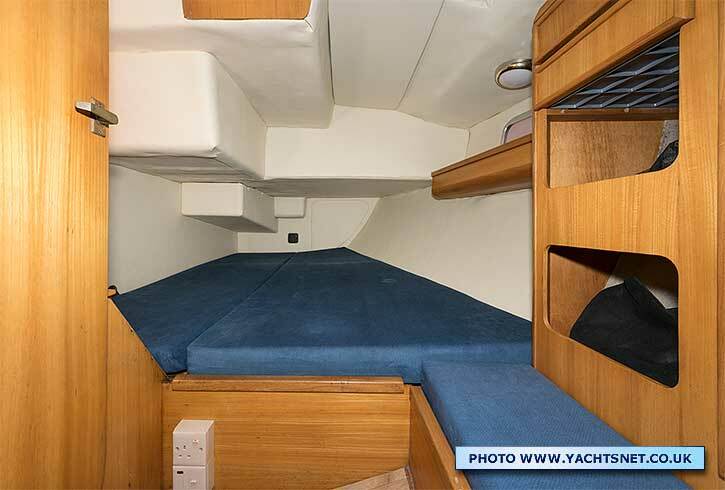 In many ways the Feelings of this era were trend-setters, with a fast hull allied to a spacious and quite open interior, with light ash joinery - something most other builders did not introduce until many years later. 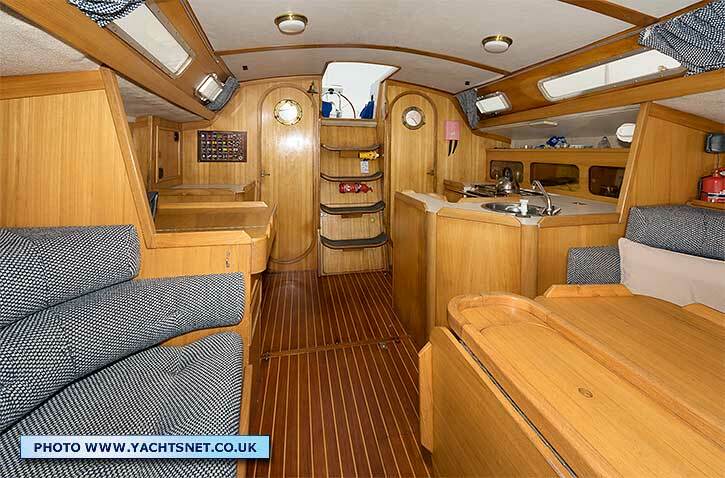 As a result the boat still looks modern today. 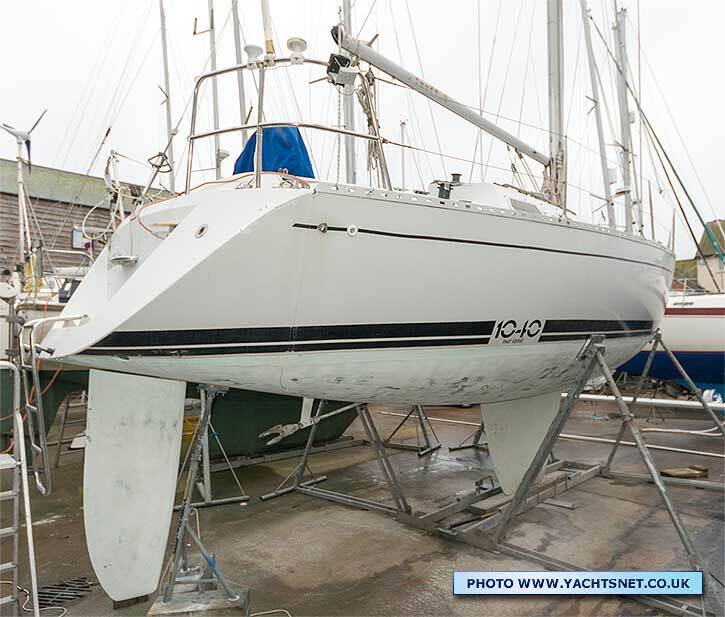 These early Feeling yachts such as the 940, 1040, 1090 etc., were built to quite a high quality level, though later the company merged with Kelt Yachts, another French builder who specialised in lift keel yachts, and started to build a later range of lift-keel Feelings that were rather more 'built down to a price'. 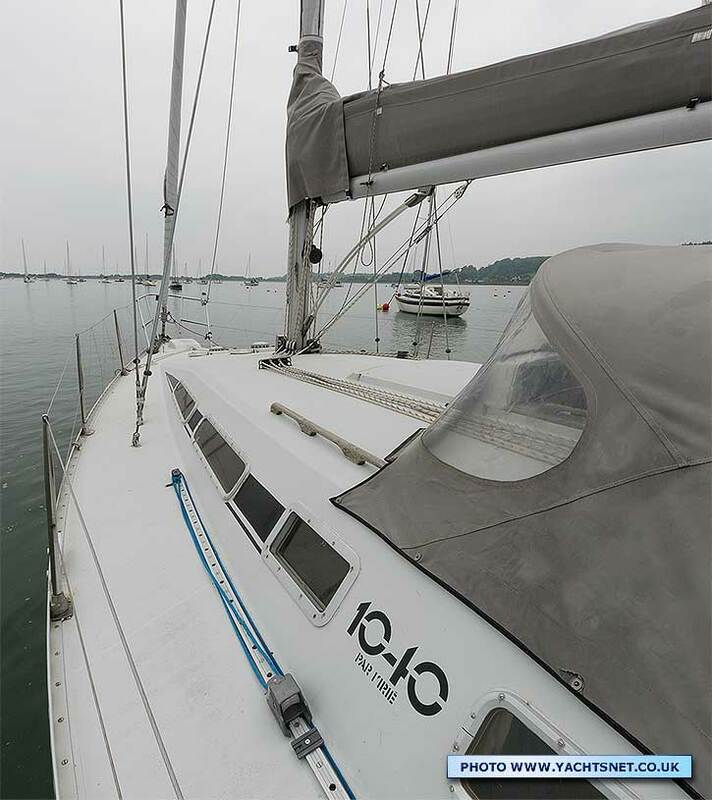 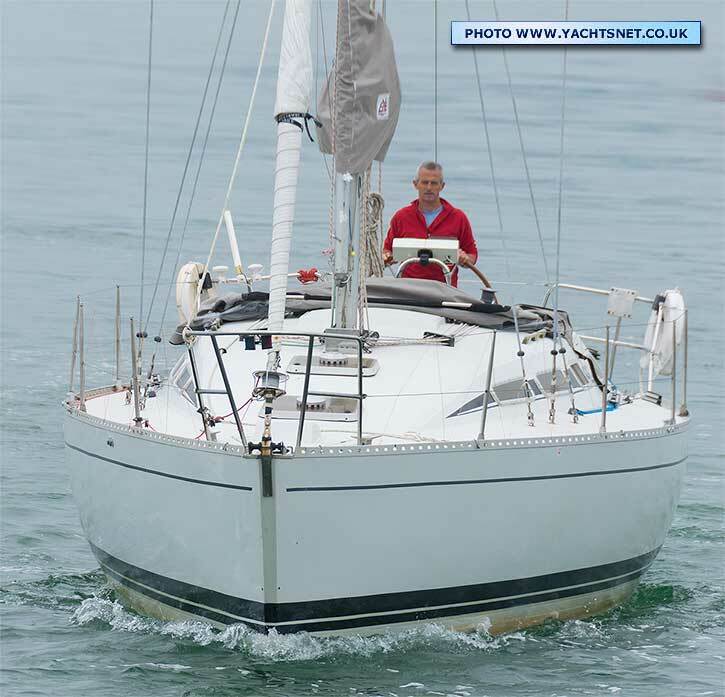 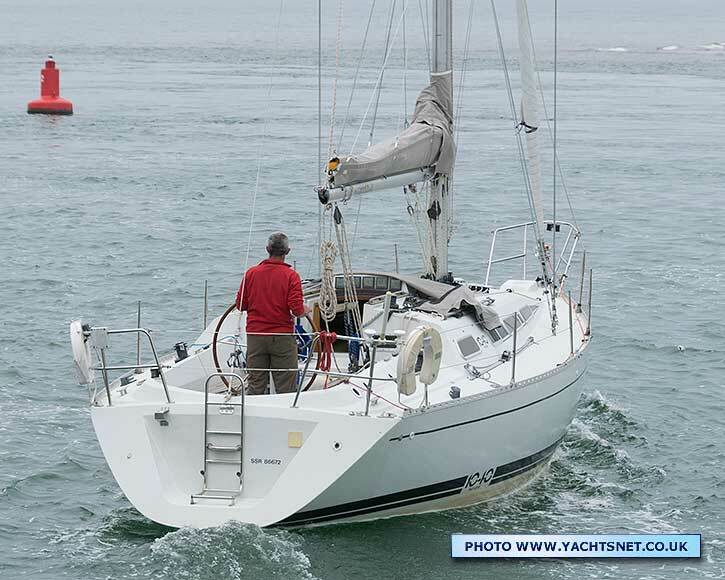 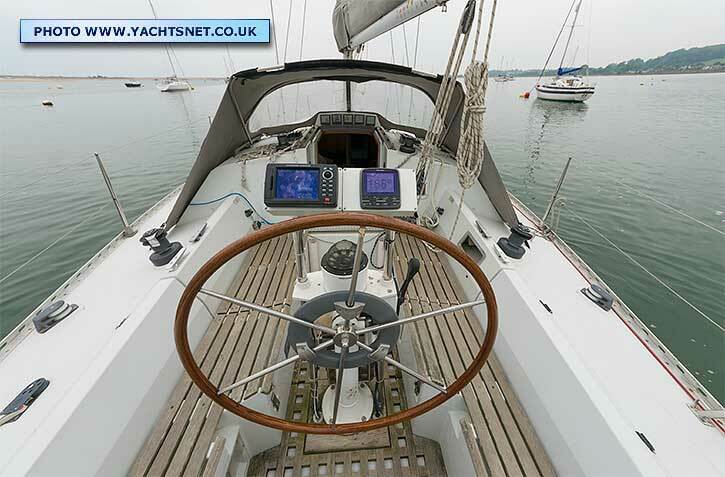 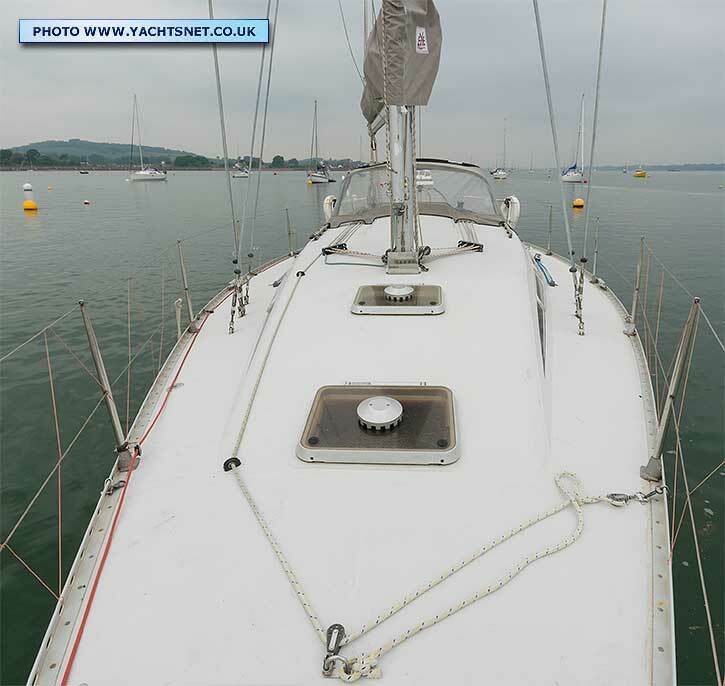 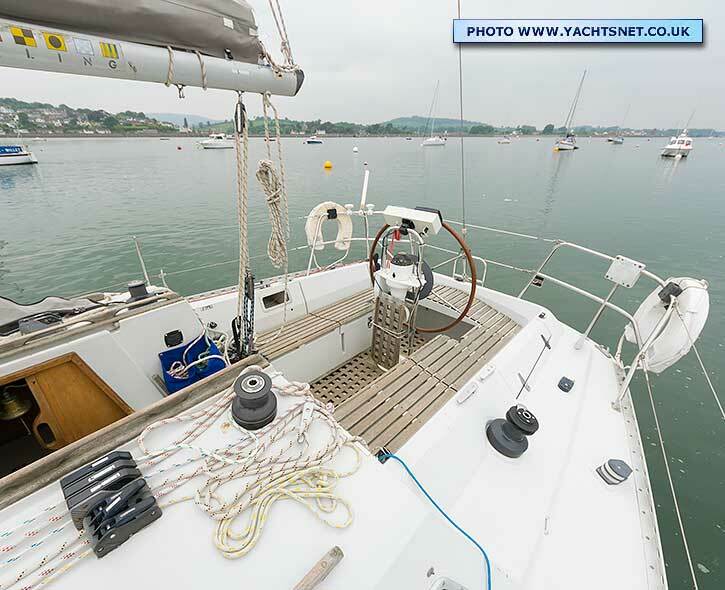 In 2008 "Sailing Today" magazine tested the Feeling 1040 in Force 5-6 - actually sailing the precise boat for sale now - and reported that to windward "....this is a quick boat" and "As soon as we eased the sheets the Feeling 1040 took off. 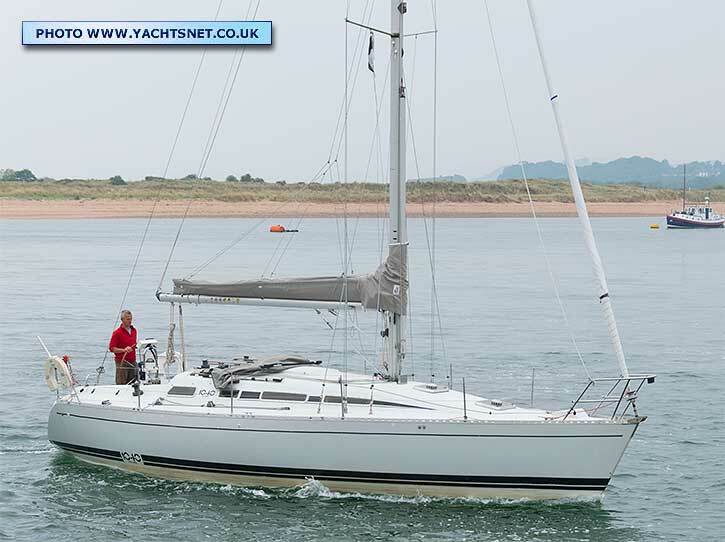 Even with full sail up she remained easy to control and responsive". 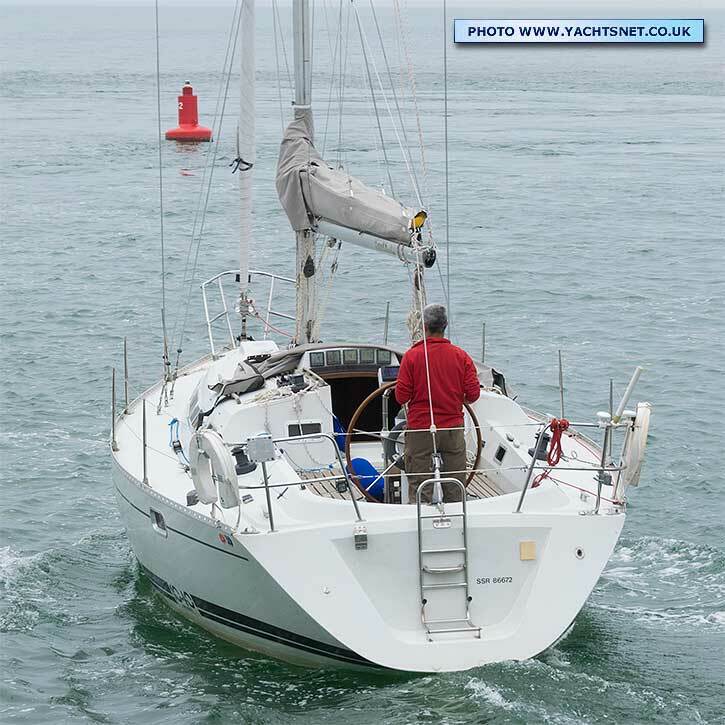 Their verdict was "...fast enough to satisfy the racer while simple and safe enough for a family". 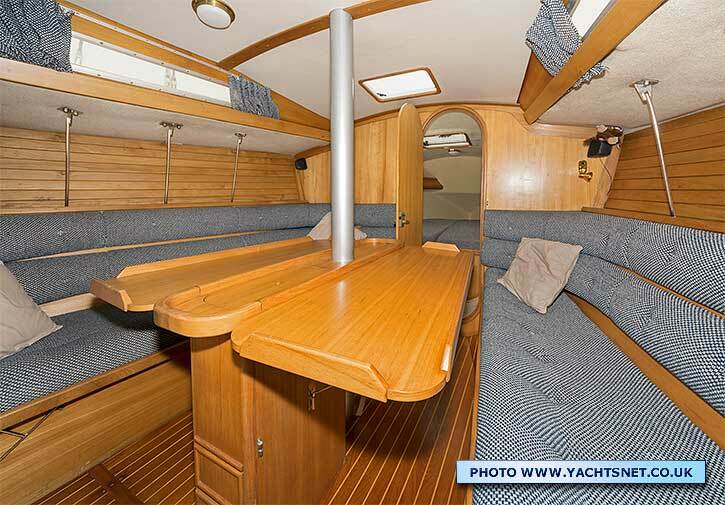 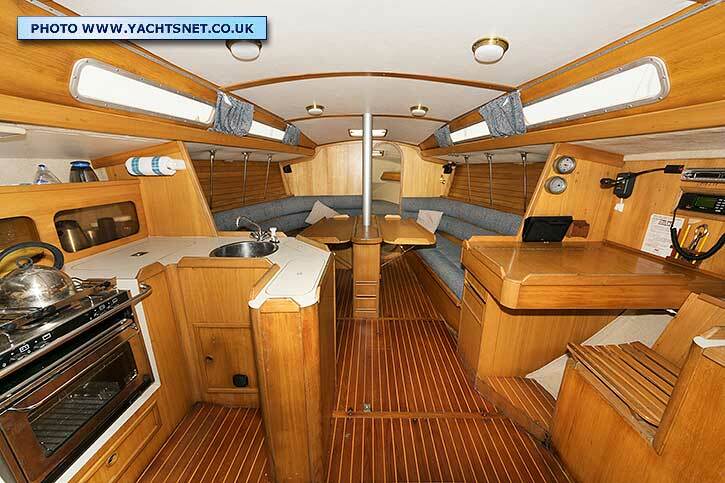 With almost 12 ft beam, the interior is spacious for a yacht only just over 35 ft in length. 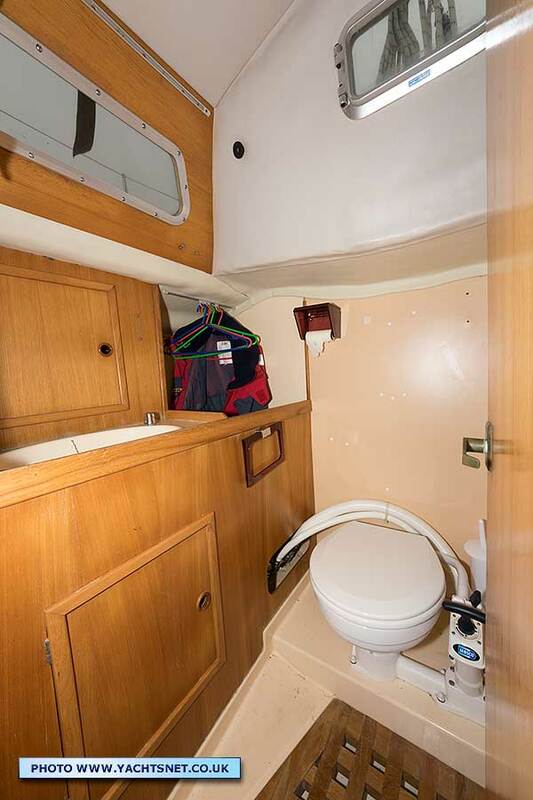 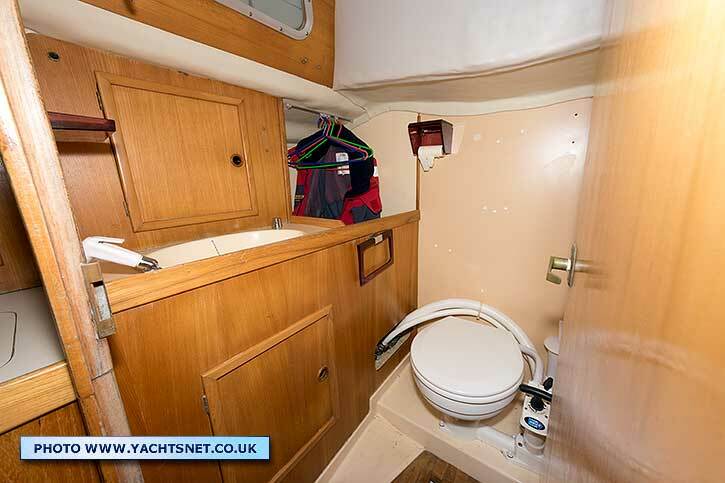 The forecabin has a 6' 8" long by 5'6" aft vee-berth, the saloon has two settees, the port side one of which can be pulled out to create a small double berth if needed, and the aft cabin has a 6' 4" long by 5' 9" at widest double berth. 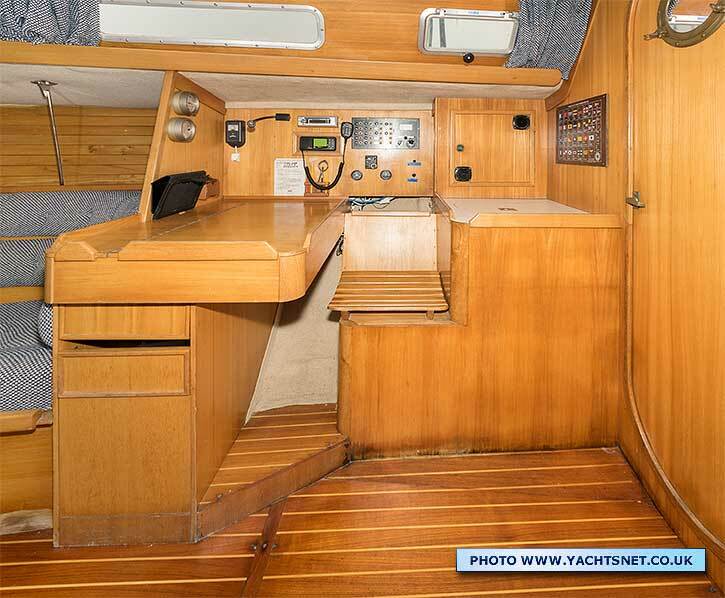 Saloon headroom is 6' 3" between the chart table and galley, lower forward. 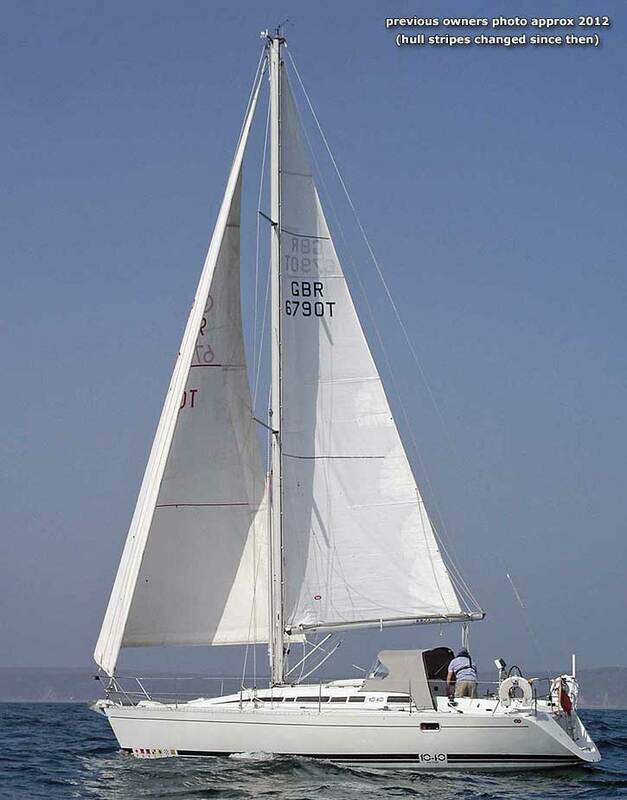 The Kirie boatyard launched the 'Feeling' series of production GRP yachts in 1980, and various Feeling models were still in production until around 2010, although the company had several changes of ownership, firstly becoming part of Kelt Yachts, and later being owned by Alliaura, builders of the Privilege catamaran range. 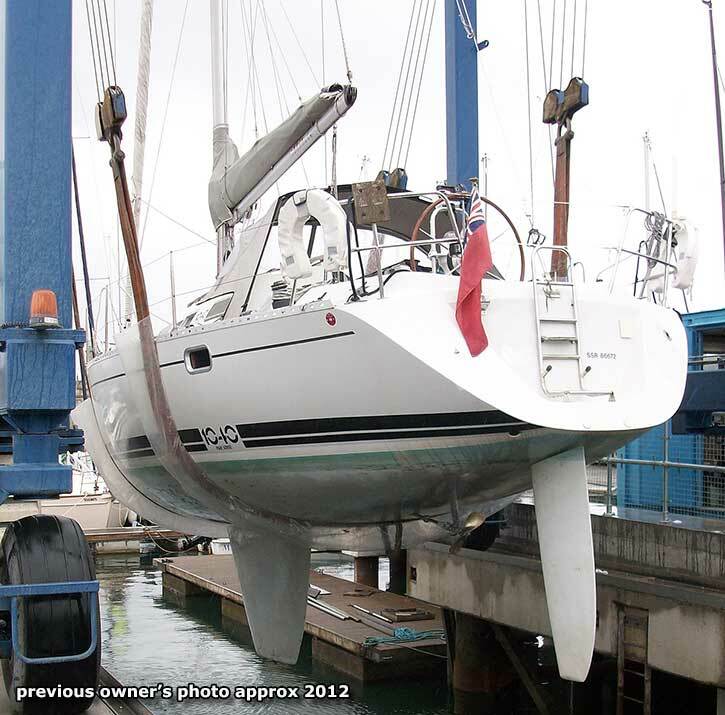 Feeling were one of the few boat marques to offer drop keel options on most of their range. 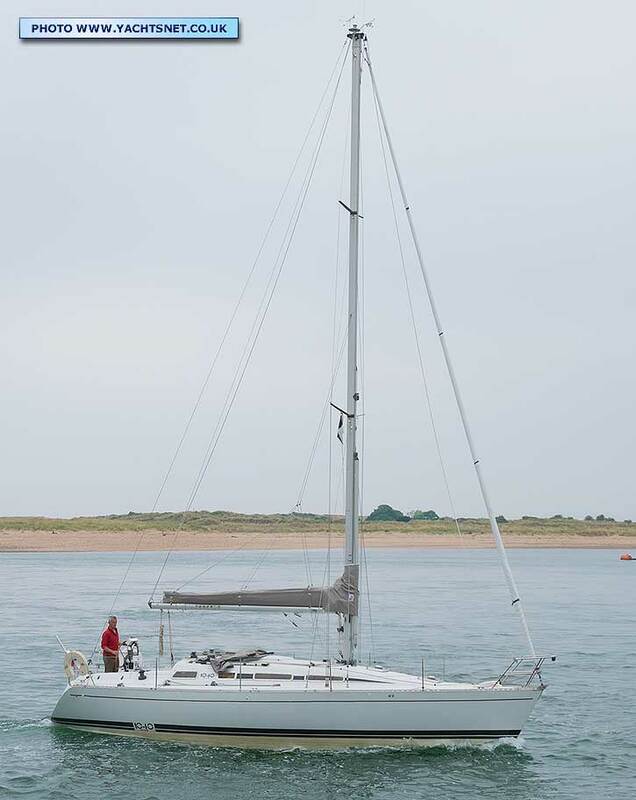 In 2012 Alliaura went into administration. 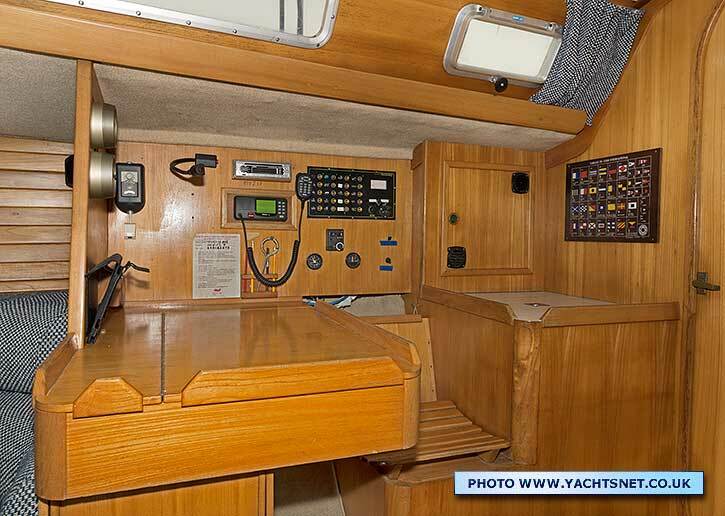 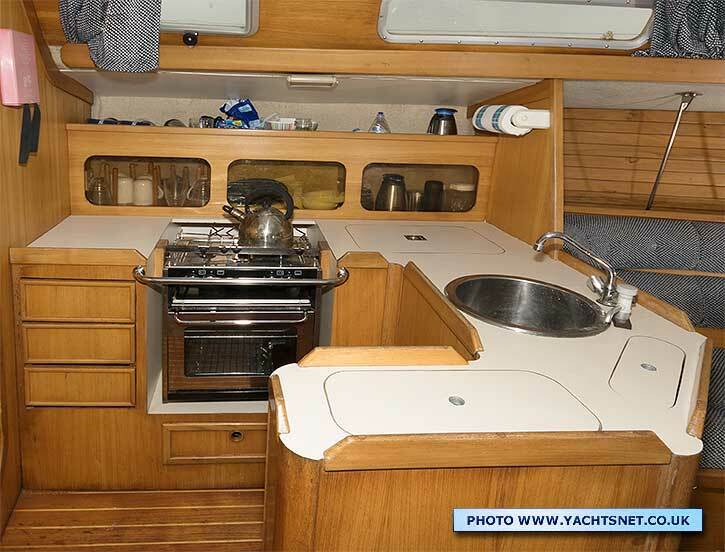 The shelf aft of the navigators seat contains a refrigerated icebox, with the compressor in the cupboard above, whilst in the galley (photos above) there is a larger but non-refrigerated icebox outboard of the sink, plus stowage bins in the worktop for utensils and stores. 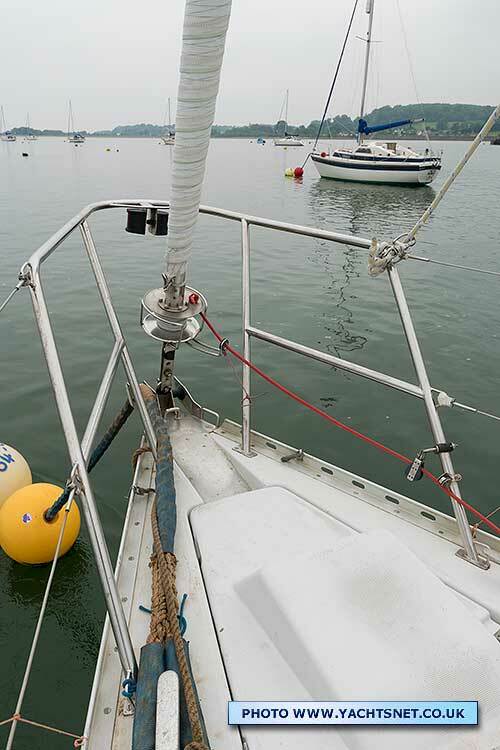 Hot water is from the engine calorifier or a shorepower immersion heater. 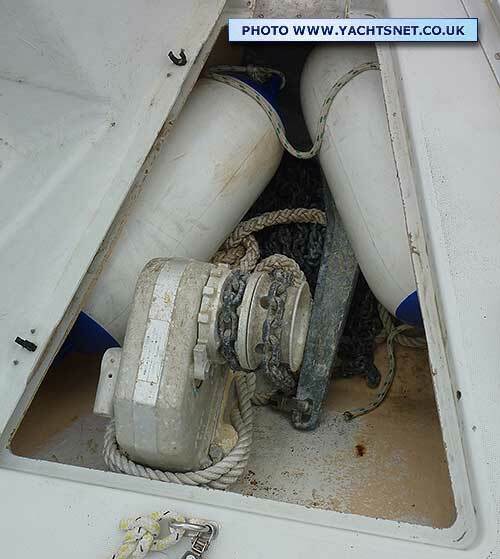 in 2013 confirmed that the hull was then still in good condition. 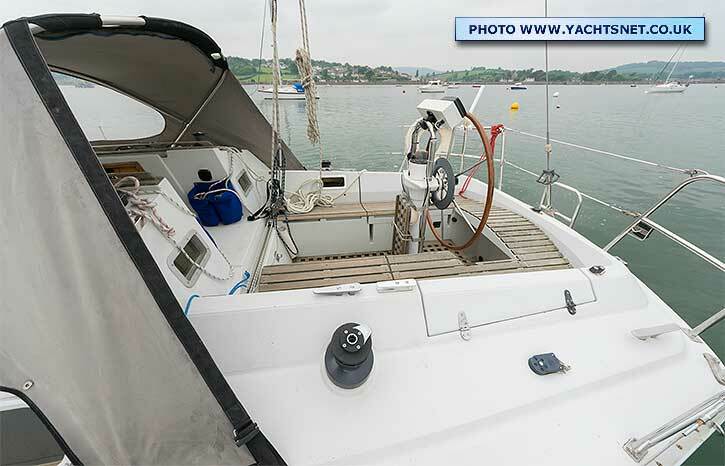 When we sold this yacht to the present owner in 2013 she still had her original Volvo MD2002 18 hp diesel: the present owner replaced this about a year later with a 30 hp Beta in order to have more power to cope with very strong tidal steams in the River Exe. 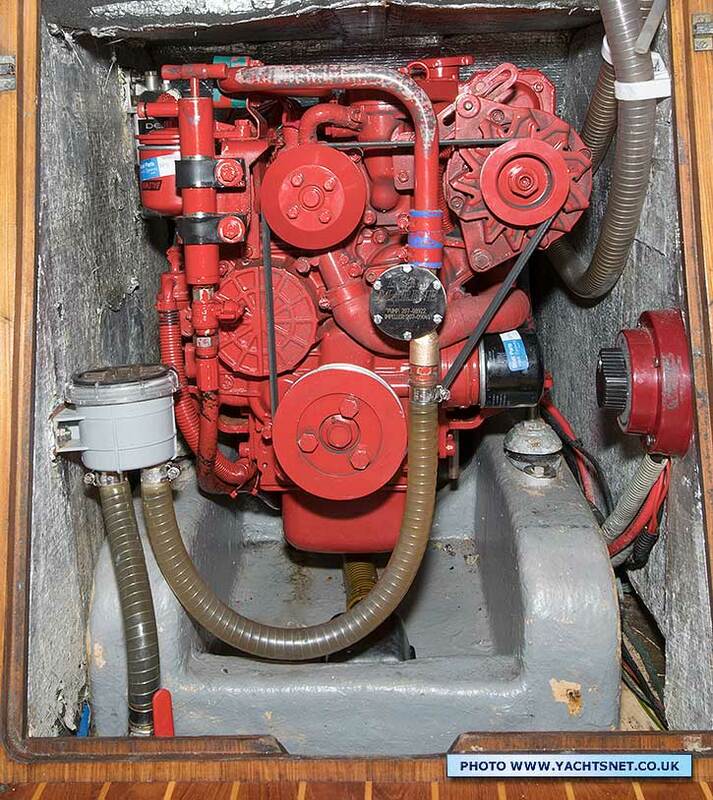 Last serviced in February 2018, the Beta has run approx 320 hours. 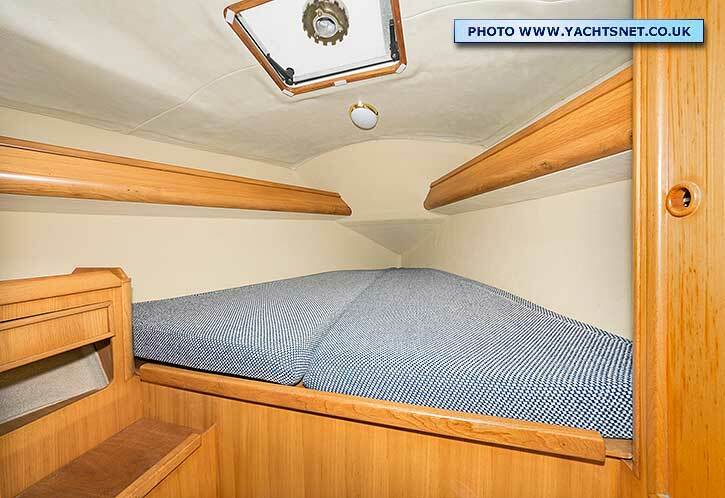 Sanders Sails cruising laminate genoa, new 2017, with cover. 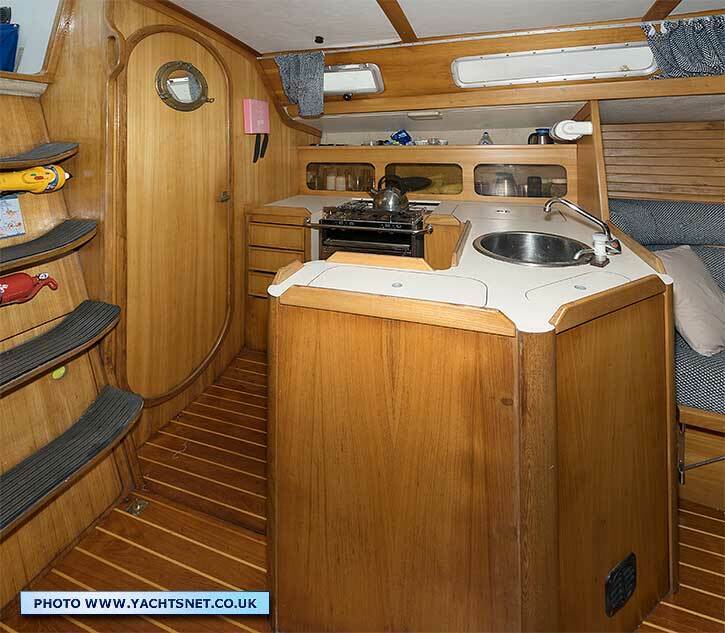 Forecabin with 6' 8" long by 5'6" aft vee-berth, saloon with two settees of which the port side pulls out to create a small double berth if need, and aft cabin with 6' 4" long by 5' 9" at widest double berth, saloon headroom 6' 3" between chart table and galley, lower forward.